Westport's Compo Beach limited daily beach passes to 100 per day as part of a new set of beach rules implemented this summer. WESTPORT — With the summer beach season halfway through, residents are giving a thumbs up to changes at Compo Beach. “Fundamentally, we think it’s a night and day difference this year versus last year in terms of conditions at the beach,” said Geralyn Breig, a resident who co-founded the group Friends of Compo Beach last year to address concerns about overcrowding, poor maintenance and bad behavior at the beach. 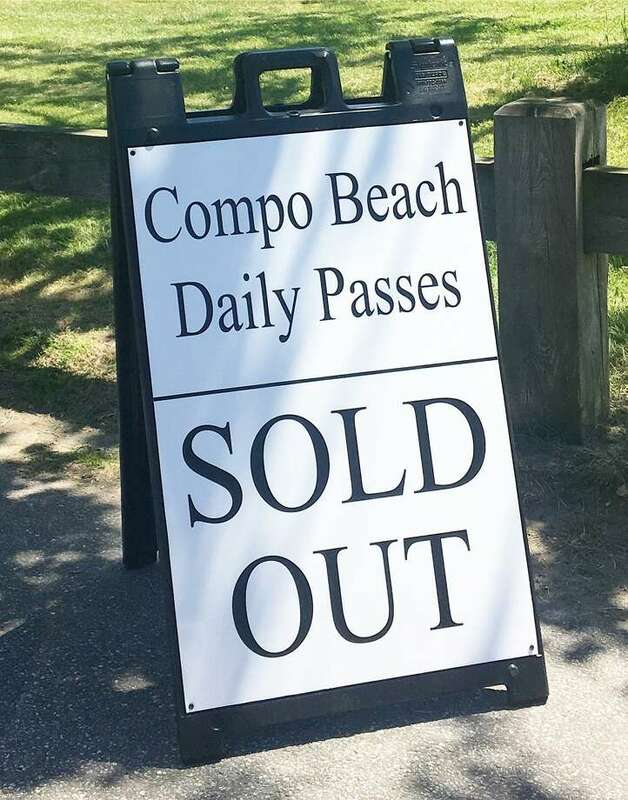 In the months since last summer, the town’s Parks and Recreation Commission, with support from Friends of Compo Beach, voted to limit daily beach passes to 100 per day — down from unlimited — and raise the seasonal beach parking pass price for nonresidents from $490 to $750. Additionally, the commission agreed to stricter enforcement of beach rules and renovation of beach bathrooms. Resident comments submitted to the Friends of Compo Beach website have been largely supportive of changes, Breig said. “The kinds of comments we get include things like ‘thanks for giving us our beach back again,’ ” Breig said, noting residents are grateful for the shorter lines entering the parking lot and beach, the refurbished bathrooms, and a new mat that helps people with disabilities enjoy time on the sand. “I’m finding the general ambiance of the beach is quiet, peaceful and enjoyable. It’s just not wall-to-wall people like it was last year,” fellow Friends of Compo Beach co-founder and resident Leslie Gallant said. Feedback received by the Parks and Recreation Department has been mostly positive as well, department Director Jennifer Fava said. Both Fava and Breig admitted the new changes have hit bumps along the road, however, especially with enforcement of rules which allow boogie boarding only on Compo’s South Beach and prohibit athletics on the beach except in designated areas. Fava said they have received pushback on these rules, which were on the books but previously lacked strict enforcement. “The beach rules for play are an area that still requires discussion and sorting out before the matter is settled,” an email from Friends of Compo Beach wrote to the group’s newsletter subscribers on July 26. The Parks and Recreation Commission plans to hear resident feedback about the summer at Compo and review the changes at its September and October commission meetings. “Overall, we’re happy and think we’re moving in the right direction, but there’s always room for tweaking,” Fava said.